Congratulations to the Hayabusa2 mission team, who flew to an asteroid, dropped multiple rovers, an impactor and a separate camera satellite to observe the impactor. The Hayabusa2 then flew around, to the far side of the asteroid to avoid ejecta from the impactor. 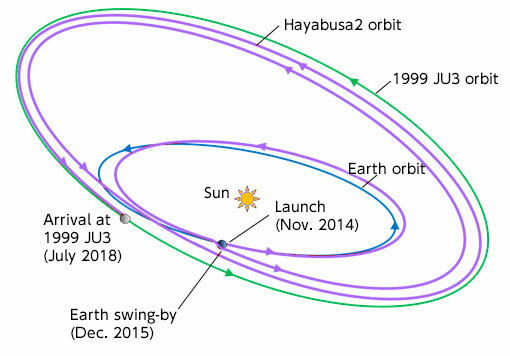 In a few weeks, Hayabusa2 will probably land, collect more samples and then fly back to Earth. For more: Hayabusa 2 page at the Japan Aerospace Exploration Agency, and don’t miss the “major onboard instruments page, including an ion engine using 1/10th the power of a chemical propellant, and fixes to malfunctions that happened after 15,000 hours of operation; a better seal on the collection horn and more.